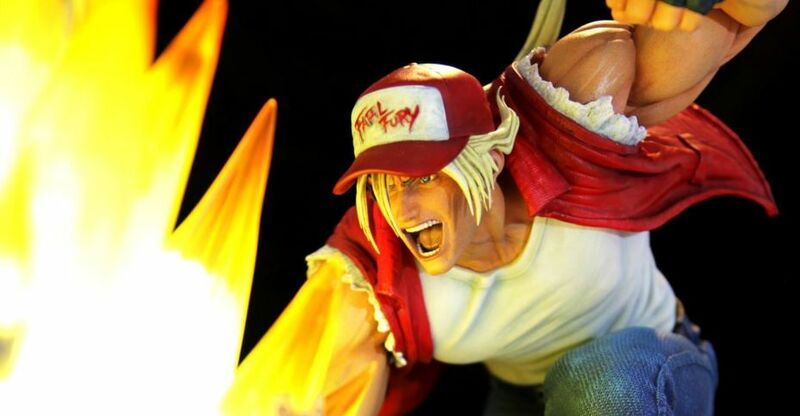 DYE Collectibles has opened up pre-orders for their first release; a King of Fighters – Terry Board 1/4 Scale Statue. There are two versions available to order, a red outfit Player 1 Version, and a blue outfit Player 2 Version. The red outfit version will include three swap out portraits and will be limited to 100 pieces. The blue version will be limited to just 25 pieces. They stand at 21″ tall. Each statue is priced at $750. You can pre-order at the links below. We’ve gathered up the newest photos as well. Click the headline of the story to check those out. 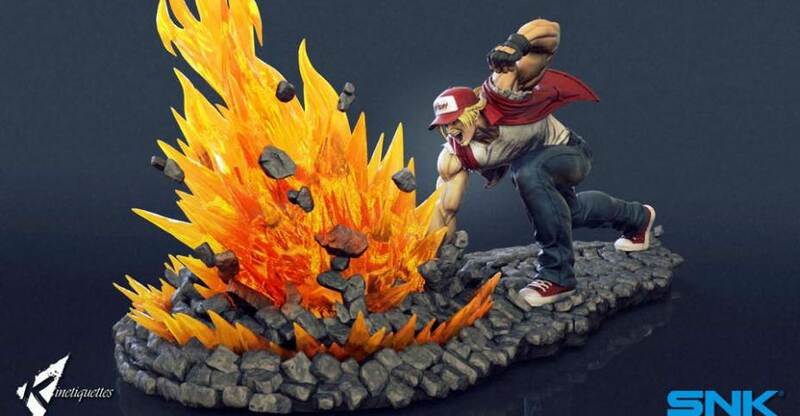 The first statue in our King of Fighters Protagonist line, is the most popular fighter of both mega franchises King of Fighters and Fatal Fury. 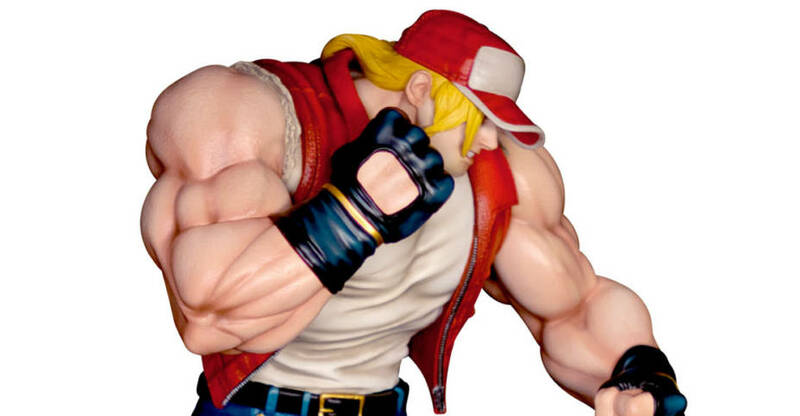 The Hero, Terry Bogard. Standing 19 inches tall with a classic stylized black base making him the combine size of 21 inches. Terry is depicted in the best version of him to date. The King of fighters 13 version, with a beautifully tailored jacket, where every stitch and zip is finely detailed. A meticulous sculpt of excellence from the clothing down to his jeans is 100% accurate to the gaming model the very version that fan’s know and love. The character will come with three switch out heads, showing a fighting stance, a cheeky taunt and teeth showing grimace head. For all customers at checkout. A new company, DYE Collectibles, is prepping their first ever release, with pre-orders set to go live this Thursday. DYE Collectibles will specialize is extremely limited release statues, kicking off with a King of Fighters – Terry Board 1/4 Scale Statue. There will be two versions available, a red outfit Player 1 Version, and a blue outfit Player 2 Version. The red outfit version will include three swap out portraits and will be limited to 100 pieces. The blue version will be limited to just 25 pieces. Each statue is priced at $750. 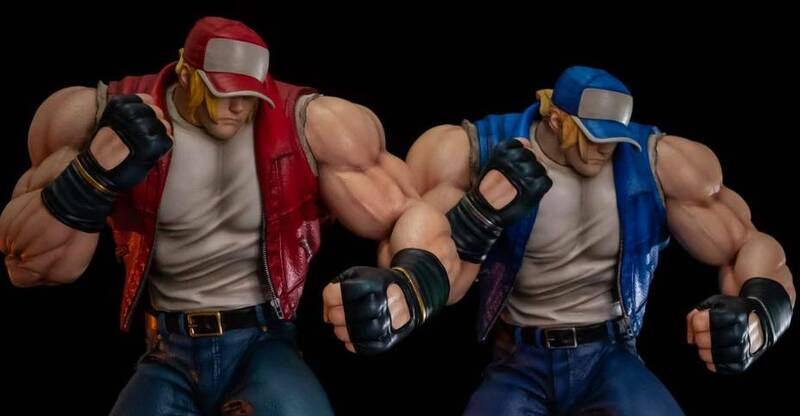 Eventually, they will also offer other King of Fighters and Samurai Showdown Statues. Additional preview images posted on their site showcase Iori Yagami and Rock Howard from King of Fighters, as well as Genjuro Kibagami and Rasetsumaru from Samurai Showdown. For full details and more photos, click the headline of the story. 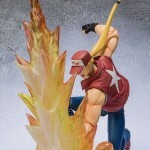 Amiblo has posted new images of the highly anticipated D-Arts Terry Bogard figure from King Of Fighters! We have mirrored some of the images. This is the 1st D-Arts figure of a KOF character, and it’s on the verge of release in Japan. So the figure you are seeing is most likely indicative of what you will get as the figure in question was a product sample given to Amiblo. The figure has hidden “L-joints” used for the shoulders. The wristband is also removable to make posing the wrists/hands easier. Effect parts are included for the “Power Geyser”, “Power Wave”, and “Burn Knuckle” attacks. This figure can be posed doing any of Terry’s signature attacks due to the generous amount of articulation spread all over. Are you okay?! Check out the new images after the jump! This figure is one of the 1st to use Tamashii’s new body buck, shown earlier this summer. In addition it is the 1st King Of Fighters action figure by Tamashii Nations, and 1st KOF figure made in years! 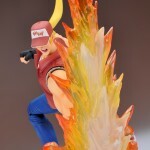 Bogard hits shelves in 3 months, feast your eyes on the new images after the jump! 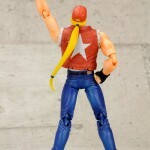 Tamashii Nations has released official images of D Arts Terry Bogard. 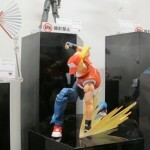 We recently saw this figure at San Diego Comic Con 2012, and this figure was 1st revealed last November. This will be the 1st of what could be, many D Arts King Of Fighters to come, as a few other figures were shown last year. Enough with the info, are you okay?! Check out more images after the jump! 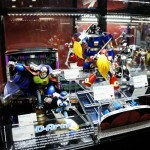 Here are more photos of the D-Arts display at San Diego Comic-Con 2012. Included are Rock Man (aka Mega Man), King of Fighters and more. Of note are D Arts Zero Black Ver., Sigma, and Terry Bogard from Fatal Fury/King Of Fighters! Also figures from Persona and Digimon! There are many things on display at the Tamashii Nations Comic-Con booth this year, and D-arts is definitely playing a bigger role. Many items from several franchises were present. 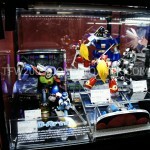 On display from the Mega Man franchise were: X, Sigma, Zero (red, type 2 and black), and Vile. Another case had a mix of figures from a few franchises including: Terry Borgard from Fatal Fury, Dukemon and Beelzemon from Digimon, and Konohana Sakuya from Persona 4. Check out all of the images by clicking on the thumbnail, and discuss which ones you are going to be adding to your collection in our discussion forum! Who else do you want to see in the line?